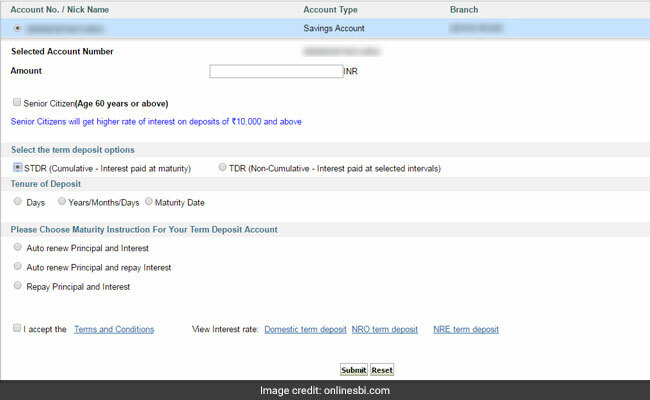 Using SBI's net banking platform, SBI account holders can open e-fixed deposits sitting at the convenience of their home and save time. 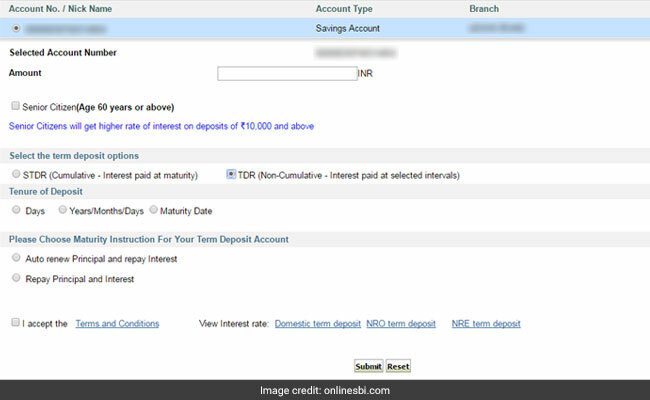 Online banking customers of SBI can open fixed deposit (FD) online. 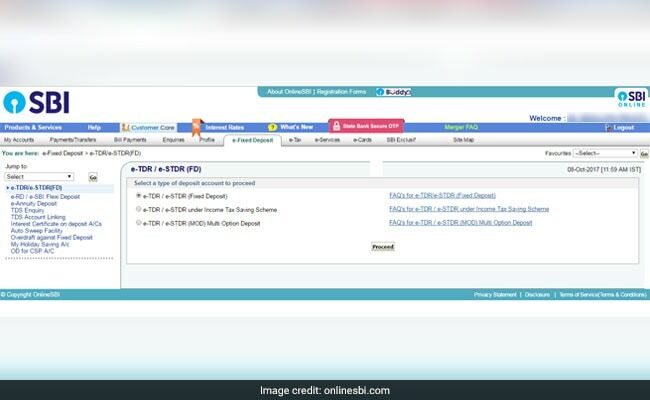 State Bank of India (SBI) offers an easy option to its savings bank account holders to open fixed deposit/term deposits using its online banking facility. 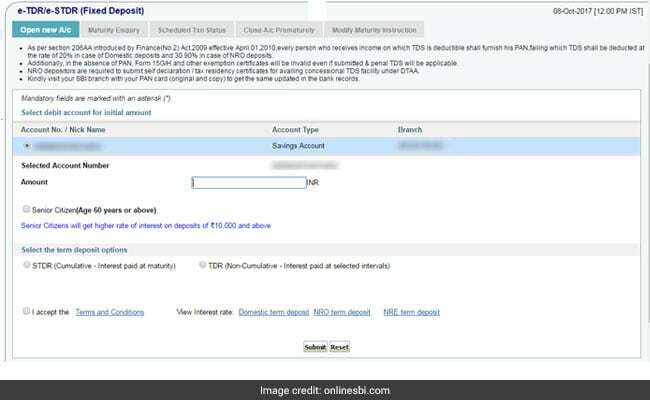 Using SBI's online banking platform, SBI account holders can open e-fixed deposits sitting at the convenience of their home and save time. Using this facility SBI account holders can also give their preference for maturity payment proceeds, renewals, interest payment options etc.. SBI has posted two video tutorials on its website, which will guide its customers in opening online fixed deposits.